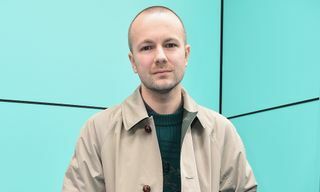 The wait for Gosha Rubchinskiy’s SS16 range is over, as the first drop from the Moscow designer’s latest collection has just landed at concept retailer Dover Street Market. 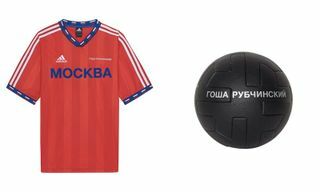 Once again Gosha’s menswear offerings are heavily characterized by sportswear influences, underpinned by Soviet-era motifs. 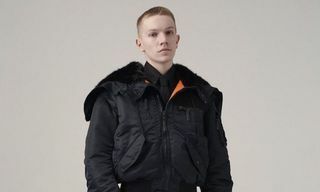 As evidenced by the continuation of awkward, boxy cuts, bizarre color schemes and cyrillic typography, Rubchinskiy remains focused on communicating ideas from within what he calls his own creative world, which borrows from streetwear, skateboarding, fashion, photography and more. 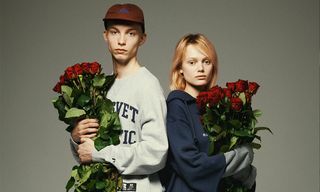 Highlights include a new collaborative project alongside Vans, a selection of track jackets, and most surprisingly a Coogi-style knitted crewneck sweater. 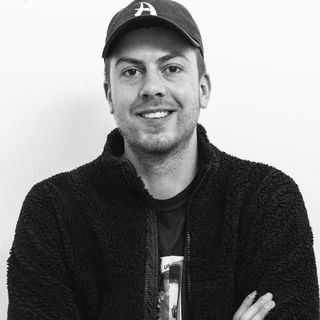 A dose of graphic T-shirts is also included in the mix, while the full range should be hitting retailers globally in coming weeks. 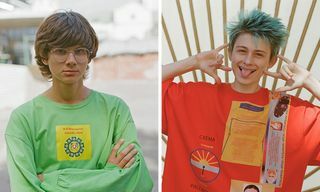 Now meet Gosha’s Moscow crew and get familiar with their next-level street style.